I adopted my first greyhound on a whim. At the time I actually belonged to a pair of Italian greyhounds. We were having an adoption event in town, I’d never seen a greyhound before, I was curious. That was in early December. On New Years Day, I was selecting my first hound. If you read the About Us page, you know Karen’s connection. I immediately began to volunteer in adoption… my whole world changed. We have held newborn puppies just minutes old in the palm of our hands, we’ve played with puppies and we’ve cheered them on at the finish line. We’ve fostered, loved, and let newly retired greyhounds go to their forever homes and on a couple of occasions when the home didn’t work out, without question we opened our hearts and home once again. We know the joys of bringing a retired brood mama home and have a very special place in our hearts for seniors and the extra shy hounds. Weekly we shlepp 40 lb bags of dog food from the store to the car to the house only to carry it back out to the trash in a daily ritual known as super dooper pooper trooping. We’ve spent more money at the vet clinic than we had in our account, saved the lives of many dogs by donating our greyhounds blood and held every paw as they crossed over the rainbow bridge. 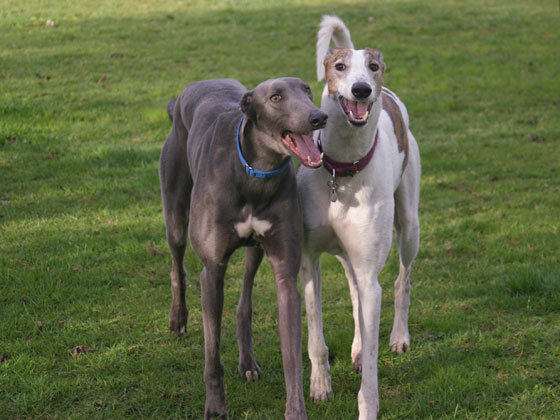 But perhaps the greatest joys of all have been the friends we have made all with thanks to the greyhounds.